Welcome to Hays Travel Bishops Waltham. I am very proud to have been the manager at the Bishops Waltham branch for a long time and have a wealth of knowledge together with a passion for travel which I love to share. I have been very fortunate to have visited many different countries but still do not have a favourite destination as I continue to enjoy seeing new places. Let me introduce you to the team! Amy is the Assistant Manager. She has just returned to work at the beginning of the year following maternity leave and now has a gorgeous little boy. We were also joined at the start of the summer by Naomi who works part time and has previously worked for TUI. Bishops Waltham is a friendly and welcoming branch and we pride ourselves on our travel knowledge and expertise, together with the excellent customer service we offer to our clients. We book every type of holiday and love a challenge to find just what you are looking for. We also offer foreign currency at very competitive rates together with a buy back option, making Hays Travel Bishops Waltham your one stop travel shop! 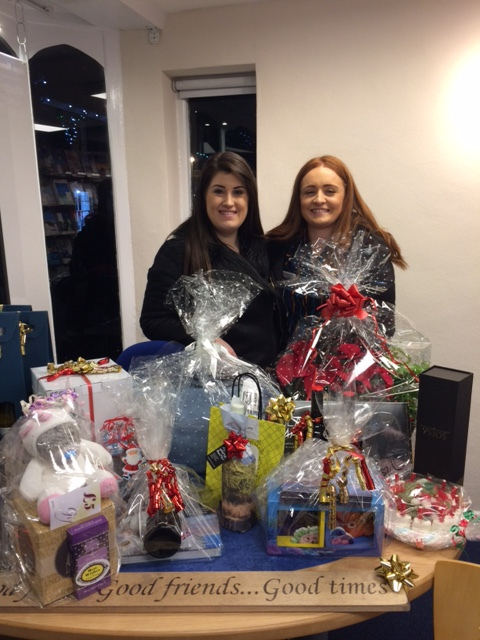 Our branch organised and ran the raffle for the late night shopping event for a third year in a row. This is arranged every year in conjunction with the local Chamber of Trade where we are in charge of the raffle. The branch donated a £50 Hays Travel voucher and we sourced other prizes from local traders. All the staff were involved and we also sold tickets prior to and on the evening of the event. This encouraged people to come and visit us in store and to see how great the branch looked following our refit in November. The total amount raised was £655 and a donation of £300 was made to Naomi House and Jack's Place Children's Hospice. The remaining amount helps to fund events that are organised by the Bishops Waltham Chamber of Trade throughout the year for the local community. It is always a fun evening and everyone comes together in the town to make it a great success. Whatever type of holiday you're looking for, we'll be happy to help. Come in and see us -we’re located in a beautiful Grade 2 listed building in Bishops Waltham, next to the local butchers on the main High Street.